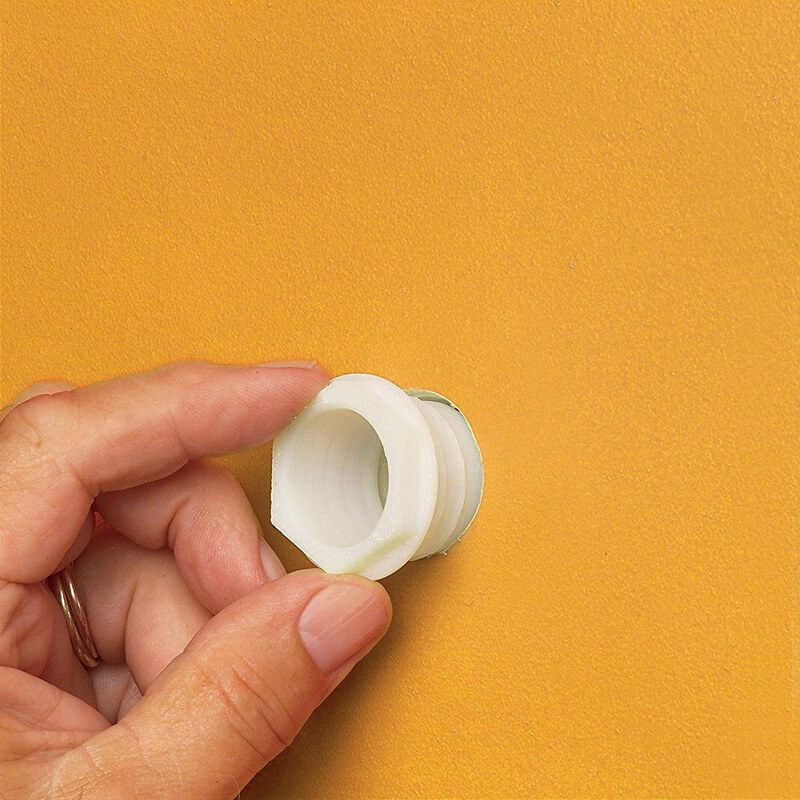 Run low voltage cable or speaker wire through drywall with the great-looking WB200 non-metallic wire bushings from Arlington™. These bushings offer a quick and simple installation solution when running any low voltage wiring out of the wall. 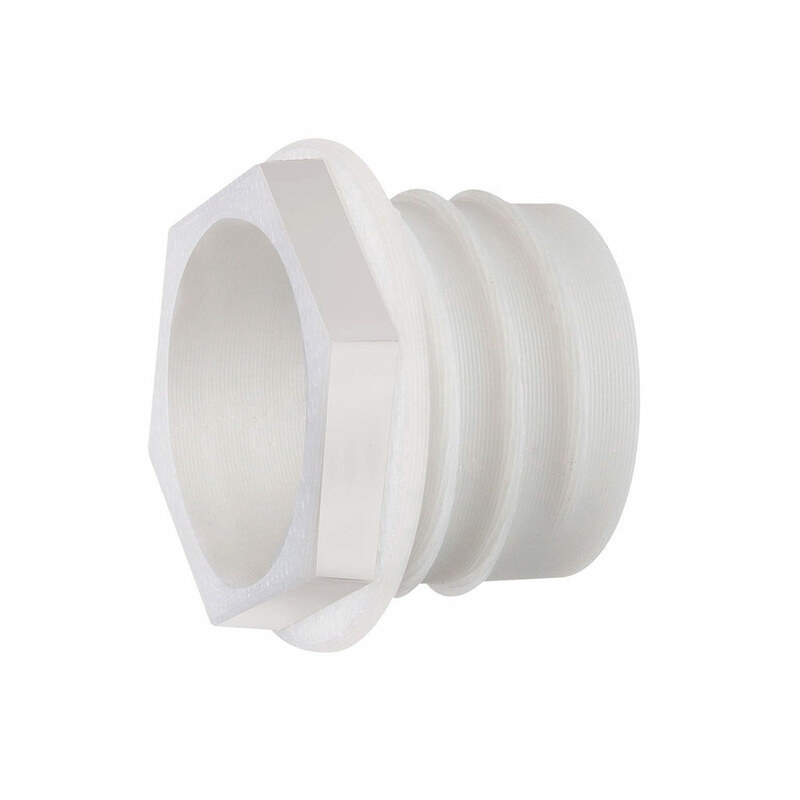 After installation, the bushings protrude from the wall just slightly which makes them hardly noticeable. They are even paintable if desired, which makes this solution even more discrete. Made in the USA. 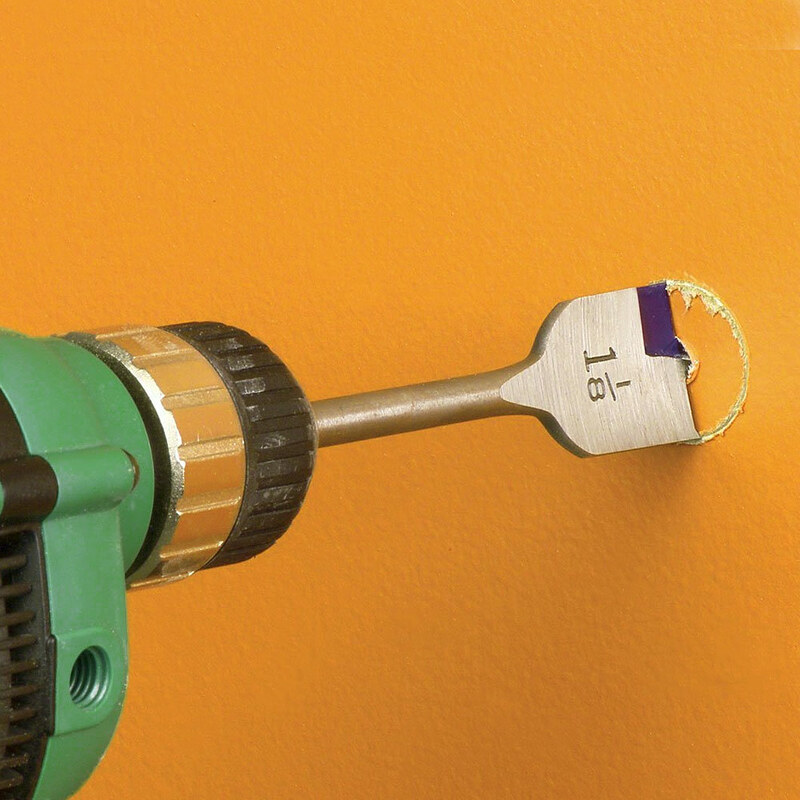 Usable ID for Wire Passage - 1.86"
First make your desired size opening, which can be done with the use of a drill bit or a hole saw. Insert the WB200 (2” size) wire bushing into the unfinished opening in the drywall. 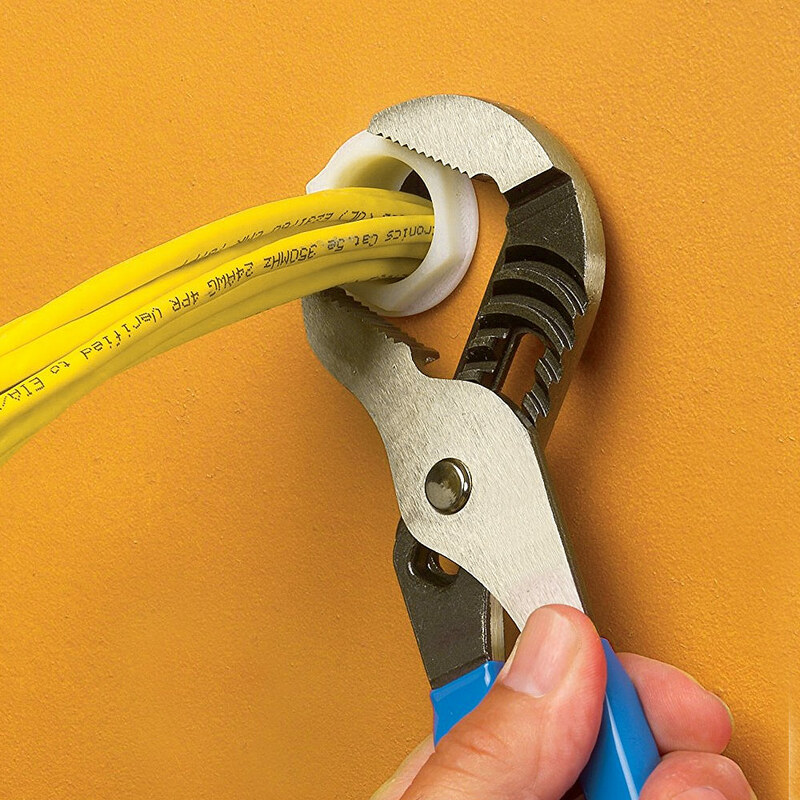 Tighten the bushing with a pair of channel lock pliers. Lastly, run your cable through. 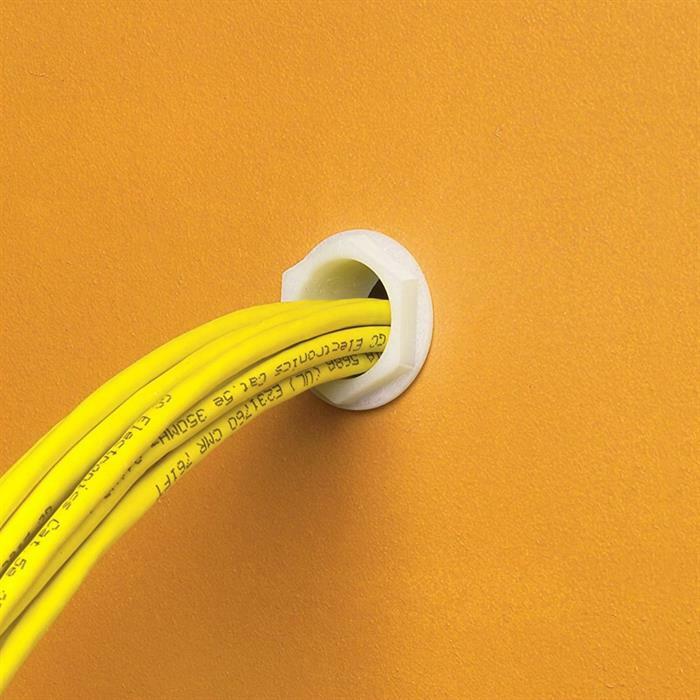 It’s that easy for a no snag, no tear, and no strain through-wall cable solution!